Gearing up for a journey towards becoming a lawyer? In order to make the journey less challenging and manageable, you need to be equipped with the right tools. One of the most important tools in order to become a lawyer, is having a reliable laptop, one that can assist you in plowing through all those subjects and presentations without any hassle. If you are on the lookout for a good laptop that you can use in your law courses, then you came to the right place. In this article, we will feature the best laptops for law school. What are the best laptops for law school? Whether you are a fan of the Apple platform or not, you can agree that the MacBooks are innovative in their own way. 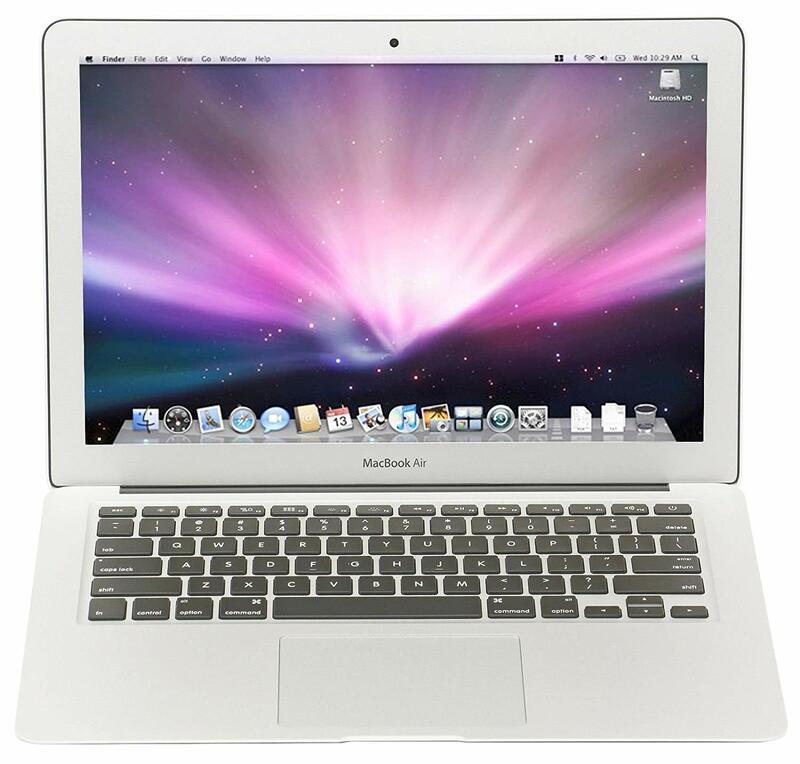 The MacBook Air is one of the best laptops for law school you can buy for under $900. It is packed with decent hardware and excellent specifications. MacBook air impresses with an ultra-thin 0.68-inch design which weighs only 2.96 pounds. With this, it is one of the lightest laptops in this price segment. One of the selling points of the Apple MacBook is its gorgeous display which flaunts a Full HD resolution (1440 x 900 pixels). Under the hood, it is powered by a 2300 MHz Intel Core i5 processor that runs on Mac OS X out of the box. Their OS is known for providing a smooth and user-friendly experience. To aid in multitasking, the MacBook Pro is equipped with 8 GB DDR3 SDRAM coupled with a 128GB SSD with an integrated graphics card. Another strong suit of this product is its battery life. This machine can last up to 8 hours on a single charge. As expected with Apple products, you do need to shell out more cash because it is expensive. Moreover, there are compatibility issues with Microsoft programs. With a 15.6” screen, this laptop is one of the most gorgeous looking products Dell has to offer. The screen is almost borderless flaunting minimal bezels thanks to its Infinity Edge display. This display provides greater screen real estate while also providing good viewing angles, accurate color reproduction as well as excellent brightness levels. Thanks to its UltraSharp 4k Ultra HD display (3840 x 2160), you get to enjoy your favorite content more while allowing you to have a better view while encoding your presentations or reports. 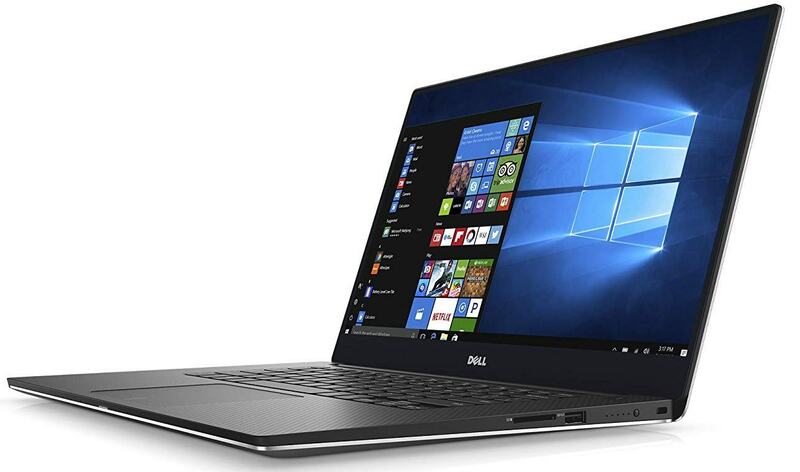 Weighing only 4 pounds, the Dell XPS9560-5000SLV-PUS is definitely one of the most lightweight 15-inch laptop available in the market. In order to achieve this, Dell made use of aluminum to build this laptop. While it is one of the slimmest laptops in this list, it does not skimp anything when it comes to durability. It can withstand short accidental drops and scratches. Under the hood, it is powered by a powerful 7th Gen Intel Quad Core processor coupled with 8 GB of RAM. To add more icing to the cake, it employs the use of 4GB GeForce GTX 1050 graphics card to make things even more smooth and fluid. With a 256 GB SSD, multitasking is never a problem with the DELL XPS9560-5000SLV-PUS. It is also equipped with the Killer 1353 Wireless AC adapter to allow law students to enjoy faster browsing speeds on the internet. However, if you want to buy the DELL XPS9560-5000SLV-PUS, you need to shell out more cash since it has a heftier price tag. The next entry on our list is the equally gorgeous looking and fast performing ASUS VivoBook Pro. This laptop will turn heads thanks to its brushed metallic lid which offers better protection against scratches and accidental drops. 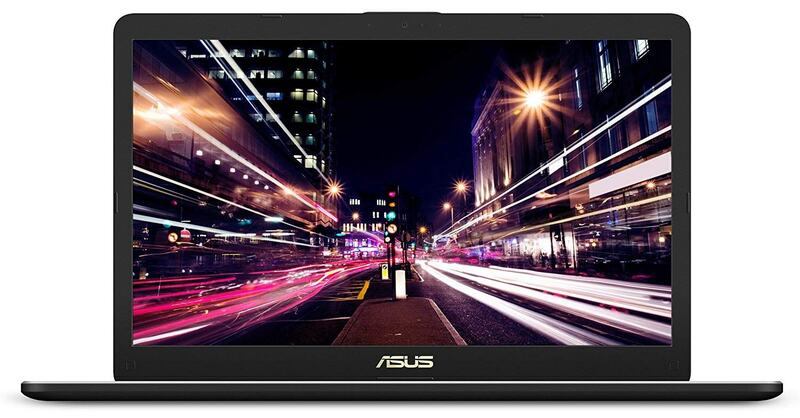 Weighing only 5.1 pounds and having a thickness of only 0.8 inches, the ASUS N580VD-DB74T VivoBook is automatically one of the slimmest and lightweight laptop in this list. In terms of connectivity, this laptop does not disappoint as it is equipped with a USB 3.0 port, an Ethernet jack as well as a USB 3.1 Type C port. It is also equipped with an HDMI out port, headphone jack, and the usual USB 2.0 ports. With this configuration, you get easy access to your flash drives and external hard drives. Asus employs the use of a fingerprint sensor on the touchpad. Perhaps the most impressive feature is its audio output. The laptop boasts of excellent and well balanced audio output. This is due in part to the integrated Harman Kardon speakers. To keep things cool, the product is integrated with a dual fan system. It helps maintain the machine cool despite long periods of use. Our main gripe with the laptop is its mediocre battery life. For its specifications, it can only churn out up to 5 hours of use on a single charge. If you are looking for a convertible laptop that does the job and does not compromise on speed and performance, then this is the laptop to buy. Amazingly, the HP x360 can be used in four modes, namely, laptop, tent, display, and tablet. One of the most promising features of the HP x360 is that it is extremely lightweight and slim. It flaunts a 360 flip and folds design which is reinforced with a durable cable that lets you off the hook and not has you worrying whether you damaged the flex in any way. The HP x360 dons a large 15.6-inch screen equipped with a Full HD resolution. It also has WLED backlit edge to edge screen with a resolution of 1920 x 1080 pixels. Under the hood, the laptop is powered by a powerful 7th Gen 2.5 GHz Intel Core i5 7200 processor. To make things even faster, it has a turbo boost feature which ramps up the frequency from 2.50 to 3.1 GHz. Much like any other convertible laptop, it has no optical drive. The machine is equipped with 8 GB DDR4 SDRAM coupled with a 128GB SSD. It is also equipped with an AMD Radeon 530 2GB DDR3 graphics card for a seamless operation and smooth experience. 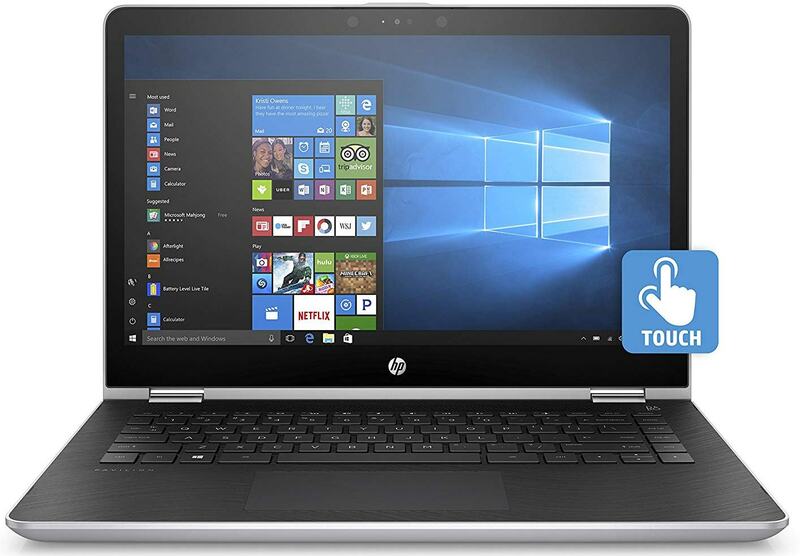 In terms of battery life, the HP x360 excels by providing a 3 cell Lithium-ion battery which can last up to 8 hours of use on a single charge. One of the drawbacks of the HP x360 is its non-backlit keyboard. However, it is to be expected from a convertible laptop. The Lenovo Legion Y520 is another worthy addition on our list of the best laptop for law school. For under $850 you get a laptop with excellent specifications with a sleek design and lightweight build. 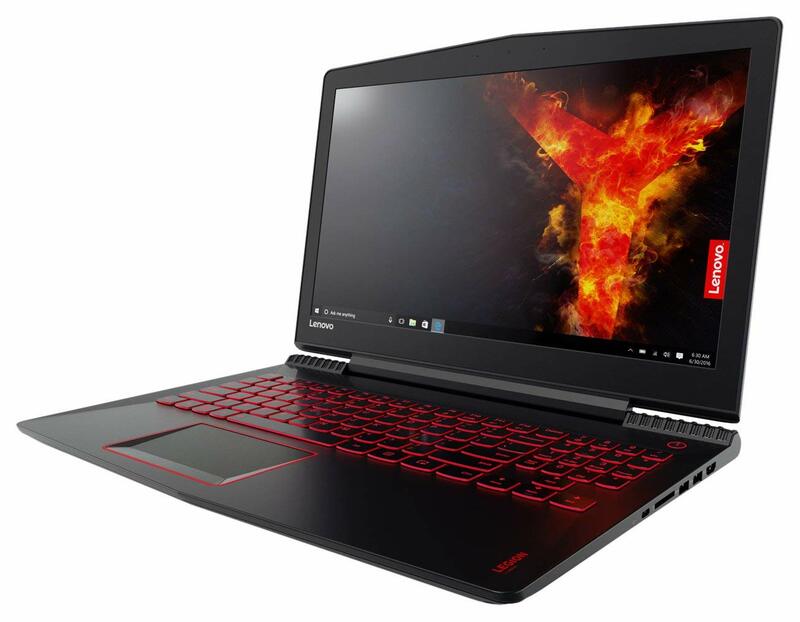 For over the years, the Lenovo Legion Y520 has been popular among college students due to the decent specifications, fast performance, and humble price tag. Under the hood, the product is powered by a 7th Generation 2.5 GHz Intel Core i5 processor. It also comes with next-generation VR ready NVIDIA GeForce 1050Ti graphics card to provide a more fluid laptop experience. To provide more convenience, the Legion Y520 is equipped with a red backlit keyboard adding a bit more aesthetic value to the laptop. To keep everything under the hood cool, it employs the use of a dual fan cooling system. It comes with 2 x 2 W Harman speakers coupled with Dolby Audio Premium that provides a rich audio experience, providing a well balanced and crisp audio output. In the display department, the Legion y520 does not disappoint as it has a large 15.6-inch screen with Full HD display (1920 x 1080 pixels). For the storage, it is equipped with a 256GB PCIe SSD. Along with this, it has 8 GB DDR4 RAM to make things more smooth and fluid. Our main gripe with this product is its mediocre battery life. Other than that, it offers great value for your money. So there you have it, those are the products that made it into our list of the best laptop for law school. Make sure to consider these laptops and maybe you can find the unit that best suits your needs in order to power through your journey to become a lawyer. Before buying a laptop for law school, there are a couple of things you need to consider. You can’t just barge into a computer shop and buy the flashiest laptop you see or buy the one with the cheapest price tag. So without further ado, here are the things you need to consider to find the best laptop for law school. Solid State Drives are one of the cures for slow computers that give you nothing but tons of a headache. If you are not familiar with SSDs, they are typically a different, more advanced storage drive that provides faster loading speeds and makes the general experience of using a computer, more fluid. Over the years, manufacturers have shifted from the traditional HDDs to SDDs. As a result, newly released laptops are marginally faster and more efficient. While laptops that have SSD tend to be more expensive, the added cost will save you all the hassle of maintaining a slow laptop. Weight is another important aspect you should take into consideration. You would not want to carry around a heavy laptop, especially when you are jumping from one class to another. Typically, what affects the laptop’s weight is the size of the screen. For laptops that have a 13 to 14-inch screen, they usually weigh around 2.2 to 4.5 pounds. 15-inch screen laptops usually have a weight of 3.9 pounds to 7.5 pounds. Lastly, a laptop with a screen size of 17 inches usually weighs between 6 lbs to 10.5 lbs. With that being said, when you want to buy a laptop with a larger screen, take note that you might carry around an added weight. However, there are also some factors that may affect the overall weight of the laptop. One of which is the material being used. Laptops that are made from aluminum or other light metals, tend to be lighter. Another important component to take into consideration when buying a laptop for law school is the processor. When buying a laptop for law school, you need not buy one with the fastest processor or the newly released, top of the line processors. Law subjects do not give demanding tasks when it comes to integration with a computer. So there really is no need to buy the laptop with the most powerful processor. A laptop with an i3 processor can suffice for law subjects especially when you are on a tight budget. If you have a bigger budget then always go for i5 processor powered laptops. RAM size would mean better multitasking and overall better experience. A higher RAM size would mean faster performance and better multitasking. To accommodate your tasks as a law student, 4GB of RAM would suffice. As much as possible, stay away from anything less than 4 GB of RAM. If you can afford one that has a higher RAM size of 4 GB then much better. Moreover, consider a laptop that has a slot that allows the installation of another RAM. This will come in handy if you have already bought a laptop and want a higher RAM. Another important aspect you need to look into is battery life. Since there is a possibility of moving from one class to another, there is a big chance that you might end up not having enough juice while on the move. Because of this, it is better to equip yourself with a laptop that has superb battery life. A battery life that lasts 5 to 6 hours on a single charge is good enough to power through your law classes. Take not a bigger battery for a laptop would mean added weight. So, when choosing a laptop with a bigger battery capacity, expect it to be heavier than its low battery capacity counterpart. Another aspect you need to consider is the display quality of the laptop. While you won’t need a laptop with ultra-high resolution, it also pays to have better visibility and clarity on your screen. The most important thing about a display is to have a bright screen with good viewing angles. Moreover, you might need to look for a laptop that has good color reproduction so that what you see on the screen are the actual colors of the source image. A screen resolution of 1280 x 720 would do just fine when doing tasks for your law subjects. Presence of ports and connectivity is also a must for laptops for law students. Laptops normally are equipped with 3 USB ports. However, for smaller laptops, they most likely possess only two USB ports. Having 2 USB ports would suffice for law school tasks but it’s also convenient to have more than 2 USB ports. An added USB 3.1 C port would also be a worthy addition whenever you are choosing a laptop. USB 3.1 C ports allow connectivity with ultra HD monitors. This will come in handy when you are doing a presentation on a large screen. There are also some features not normally seen in most laptops that are worthy of additional components. First, of, a dedicated video card is a plus for laptops for law students. While this is not necessarily a requirement for law courses, having a dedicated graphics will help you make presentations faster and without the slow rendering speeds. Also, it can help you do graphics designing or photoshop more conveniently. Buying a laptop that has its own dedicated number pad is also a good investment. If you want to take notes faster and more conveniently, you can buy a convertible laptop. Convertible laptops serve two purposes- function as a laptop or a tablet. Touchscreen laptops are also another type of laptops that help you do just a bit more compared to traditional ones. If you want to command the laptop with a single tap on the screen, then touchscreen laptops are a good investment. However, we still believe that operating a laptop through a mouse is more convenient. Hopefully this guide outlining the best laptops for law school provided you with insight and information needed to make the best decision for your computing needs.